Prisons are typically highly-controlled spaces, in which landscape elements (buildings, fences etc.) are carefully planned to maintain a secure perimeter and clear sightlines, and to minimise opportunities for prisoners to scale vertical structures, or conceal contraband. They are also environments whose cost, both capital-build and facilities-management, is under constant scrutiny. Further, they are environments about which very strong opinions are held about what is ‘appropriate’ – public opinion, as reported in a vigilant media, complains that prisons resemble ‘holiday camps’ and are ‘too soft’, instead demanding ‘no-frills’ accommodation. However, contemporary prison reform discourse emphasises normalisation, and suggests that therapeutic environments can support enhanced rehabilitation and possibly desistance from reoffending. In a new open-access paper just published in Social Science & Medicine, entitled Turning over a new leaf: The health-enabling capacities of nature contact in prison Dominique Moran and Jennifer Turner report on findings from a project undertaken with Yvonne Jewkes. They explore the potential applicability of evidence of health-enabling effects of elements of the built environment – particularly access to nature – deriving from research in healthcare facilities – to evidence-based design in the custodial context. Drawing on comparative qualitative research conducted in the UK and the Nordic region, they argue that although available data lack direct comparability, there is evidence that access to nature generates the same health-enabling effects in custody as are recognised in healthcare facilities. Reflecting on the differing political contexts of imprisonment in the two study areas, they conclude by advocating further research both to better understand health-enabling elements of the custodial built environment, and to better enable robust findings from healthcare facilities to be applied in custodial contexts. This paper is the latest in a growing list of studies which consider the beneficial effects of access to nature in prisons. It traces its origins back to Ernest O Moore’s much-cited 1981 study, A prison environment’s effect on health care service demands (Journal of Environmental Systems, 11, 17-34) which was the first empirical study of the effect of nature views on prisoner wellbeing. Moore found that prisoners in a US jail who looked at something green from their cells made fewer sickness calls than those who did not. He noted that these prisoners may not be less ‘sick’, but rather in less desperate need of human contact that they would make a sickness call in order to get it. Two further unpublished PhD theses (by Marcia West, Landscape Views and Stress Response in the Prison Environment, in 1986, at the University of Washington, Seattle; and Anne Spafford, The Prison Landscape and the Captive Audience: Is Nature Necessity or Amenity? in 1991, at the University of Illinois, Urbana-Champaign) replicated and extended Moore’s work, showing that inmates and staff felt calmer when prisons offered more visually complex views, and that inmates with a higher percentage of naturalistic elements visible from their cells made fewer sick-calls than inmates with views dominated by the built environment. However, since the early 1990s, and in line with a dearth of research into prison environments in general, very few researchers have probed the effects of nature contact, especially views of nature, for persons in custody. Although there are numerous studies of the positive effects of prison gardens and horticulture programmes, (such as Lindemuth, A. 2007. Designing therapeutic environments for inmates and prison staff in the United States: Precedents and contemporary applications. Journal of Mediterranean Ecology, 8, 87-97) very few consider the effect of the views of green spaces independent of the effects of getting outside and doing physical work, so it’s hard to know which element is having the positive effect, and in what proportion. In terms of drawing out recommendations, it is difficult to know what this means for prisons that cannot offer large scale horticulture programmes. The revival of rehabilitative ideals for custodial environments has seen a recent increase in interest in the potential of nature contact to assist in rehabilitation; (e.g. 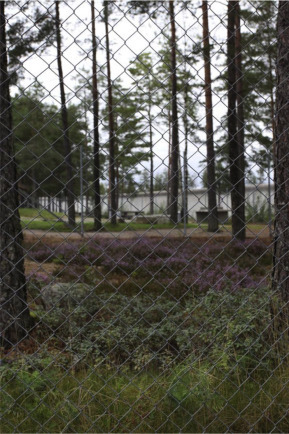 Jana Söderlund and Peter Newman’s 2017 piece Improving Mental Health in Prisons Through Biophilic Design (The Prison Journal, 97(6), 750-772) and Nalini M Nadkarni and colleagues’ 2017 paper, Impacts of nature imagery on people in severely nature‐deprived environments (Frontiers in Ecology and the Environment, 15(7), 395-403) which reflect on the potential impact of nature contact in custodial environments. In Moran and Turner’s new paper, they find that the calming, de-stressing effects of nature contact, which are widely found in healthcare facilities, were also observable in two study prisons; “across the two study sites, one much ‘greener’ than the other, respondents denied nature contact wanted to have it and could articulate the benefits it would bring, and those provided with green spaces valued them highly and described the health-enabling effects they derived”. They argue first that more serious consideration should be given to the application of evidence-based design, derived from healthcare facilities (such as support for greater access to and views of green spaces for prisoners), to the custodial sector. So yes, prisons should have trees. But second, and reflecting on insights into the management of green spaces in prison, they argue that “almost any aspect of prison life which is valued by prisoners, and to which access is not protected in law, can be transformed into a privilege to be earned or punitively removed, and this management tendency would need to be carefully considered in future knowledge transfer”.